Due to high concentrations of natural active ingredients included in secretion (alantoin, glycolic acid, collagen, elastin, mucopolysaccharides, antioxidants) and enrichment in low and high molecular hyaluronic acid, Nature Cosmetics’ products are used in such treatments as: anti-aging, skin lightening, scars and stretch marks removing, intensively regenerating, cleansing and moisturizing. 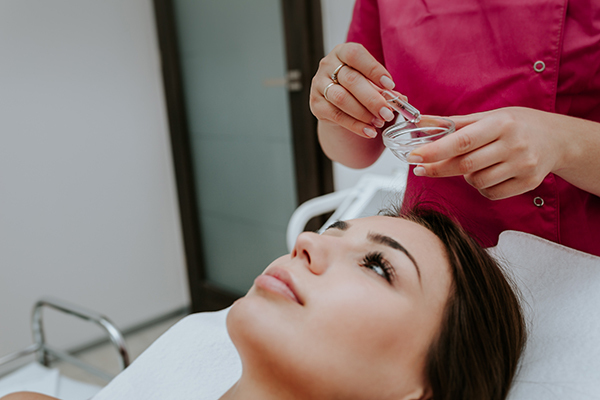 Trough proper selection of the treatment in beauty salon, active ingredients of the HS Ampoule are able to penetrate into deeper layers of the skin which has a positive influence on the skin state or particular skin condition. The biocellulose nanofibres contained in our mask are produced thanks to patented biotechnological processes with the use of special bacterial stains. The created biomaterial forms an elastic and durable three-dimensional layer which perfectly fits the face skin. Thanks to such a mover active ingredients (which the bionanocellulose is soaked with) have a positive impact on the skin and the mask brings relief during after treatment regeneration. 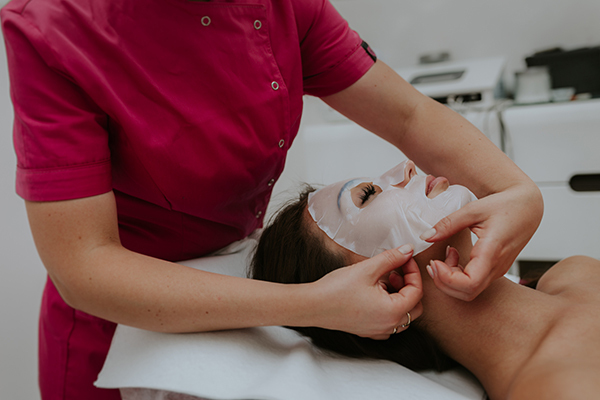 After the treatments causing skin damage or strong skin congestion, the usage of the mask enables softening or full remitting of the irritation and redness. 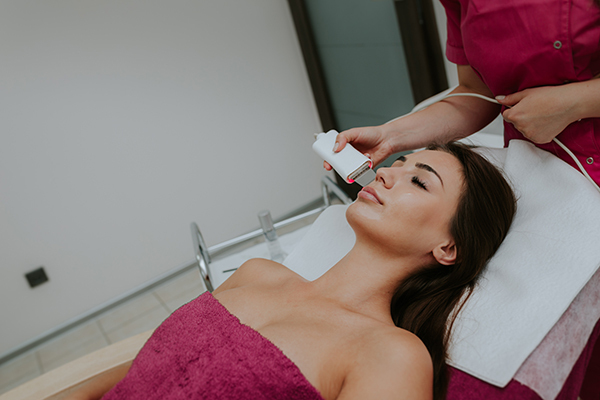 The ampoule and the mask also help to rebalance the skin tone and they stimulate fibroblasts to production of collagen and elastin. 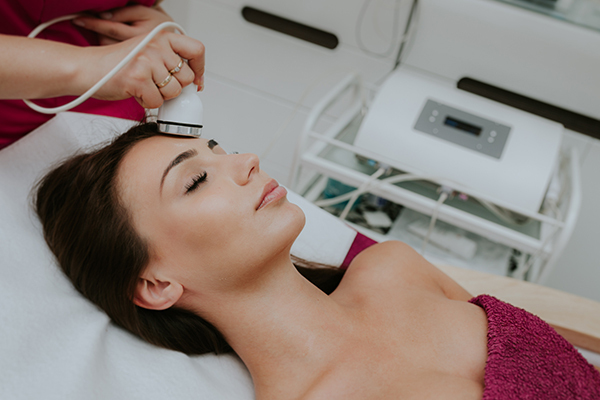 microdermabrasion or cavitation peeling + the ampoule with snail secretion applied with the massage, and finally HS mask treatment for a better effect. The effects of the treatment series: increased skin density, reduced wrinkles, increased skin firmness. Caviation peeling or gentle chemical peeling + ampoule applied with needleless mesotherapy or sonoforesis. After the treatment – biocellulose HS mask treatment for a better, skin calming effect. 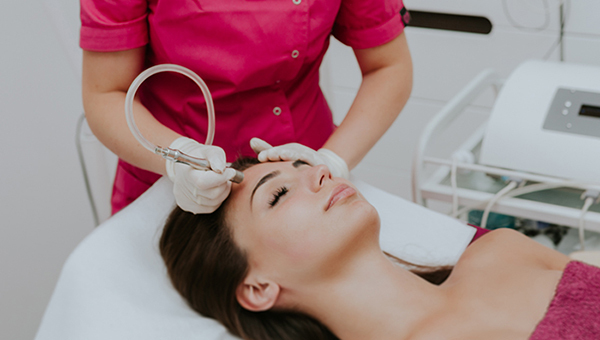 We recommend the HS serum for a continuation of the treatment at home. The effects of the treatment series: the skin is radiant, soft, smoothed , firmed and highly moisturized. needleless mesotherapy or sonoforesis with the use of HS ampoule + HS mask. After the treatment – serum for scars. Mesotherapy with vitamin C, retinol + HS serum for continuation of the treatment at home. Microdermabrasion + HS ampoule applied with sonoforesis or needleless mesotherapy + HS serum for using at home. The effects of the treatment series: less visible stretch marks. Microdermabrasion + HS ampoule applied with needleless mesotherapy or sonoforesis + HS mask. The effects: skin becomes moisturized, smooth, gentle, cleaned and brightened.